The last time I sat down with a Carsie Blanton album, it contained several reworkings of jazz classics with Blanton's sweet and genre-hopping prowess. This time, the New Orleans resident delivers a handful of originals that retain her Big Easy heritage, but she punctuates it with plenty of pop appeal and influences that span nearly a hundred years back. So Ferocious wastes zero time reeling you in with the playful opener “Hot Night,” which is a glorious venture into retro-pop where Blanton's sweet and flirty vocals are complemented with distant horns. “Vim And Vigor” follows and has a distinct Prohibition-era feel, and the firm and sassy wordplay is met with jumping keys. The title track, “So Ferocious,” then segues into upbeat dance rock. 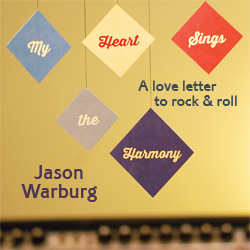 “Lovin Is Easy” follows with a solemn tone, as it's a forthright love song that's about as sweet as possible. This leads into one of the brightest moments here, the frisky “Ravenous,” which is as good as any pop song on the radio these days. The second half starts with the oldies throwback “Fat And Happy” before the Motown influenced “Scoundrel” where Blanton's vocal ability is explored in depth and the songwriting reaches a high point. The ballad moment is touched on with “To Be Known,” where an orchestral backdrop helps illuminate a sensitive and cathartic Blanton, and near the end “The Animal I Am” is a lush and full indie anthem that is so well done it's the worth the price of admission in itself. Blanton is a fan of artists as diverse as The Beatles and Tom Waits, and that wide range is evident in her own work. She's quick to point out that she hates genre, and equates making music to making love, stating that “If you only know one way to do it, you must not be very good at it.” Well, Blanton again has proved here that she is fantastic at making eclectic music, so we can all draw our own conclusions about the rest of that analogy.